Set on the Innisikera River north of the Masai Mara Game Reserve, the luxury seasonal Olseki Mara Camp is in an area teeming with game, the northeastern sector of Koiyaki is adjacent to the Mara, and provides an opportunity to enjoy the game viewing the Mara is famed for, in an area not frequented by the masses. The simple modern architecture creates an exciting living space in the eight spacious tents, each with a double and a single bed, crisp linen, thoughtfully designed lighting, a changing room and en suite hot showers and flush toilets. Extra double tents, to accommodate families, have breathtaking views. All our tents are designed to meet environmental demands and are complemented by the minimal and fine décor of the comfortable library and dining tents. Cottars 1920s Safari Camp, which is situated in the Masai Mara, bordering the Serengeti and Loliondo Ecosystem, in an untouched 200,000-acre exclusive concession providing the discerning guests a guarantee of privacy and an abundance of wildlife. The camp accommodates up to twelve clients in authentic white canvas tents, which are spacious and luxuriously furnished and incorporate original safari antiques from the 1920's; private en suite dressing rooms and bathrooms (with old-fashioned styled tubs, showers and flushing toilets), the main bedroom and an outdoor veranda. Guest activities include game drives guided by Calvin Cottar or guides of equal professional standard in either state of the art modern four wheel drive cars, in Cottars authentic and old wooden car or in oxen pulled wagon. Alternative to a wildlife watching - a tented reading room with an extensive array of Africana, modern books and magazines or Cottar's natural rock swimming pool with surrounding hammocks are available. Because Cottars 1920 Mara Safari Camp is located outside the game parks, guided walking and night drives are also highly permitted and recommended. By walking, guests can get much closer to nature, and if an opportunity to track wild game presents itself, Cottar's trained trackers will take guests even closer. This exquisitely set, luxurious camp is positioned on the banks of the Talek river, to the south east edge of the Masai Mara national reserve, one of the seven wonders of the world. 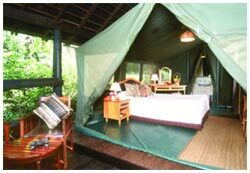 The twenty tents are mounted on raised wooden decked platforms, all furnished in rustic African style. All the tents are en-suite with hot and cold powered showers and have all the amenities that one would expect of five star luxury accommodation. 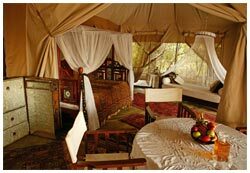 All the tents face the river and look onto the savanna expanses of the Mara allowing for beautiful sunrises and sunsets. Included in the twenty tents are two family tents each comprising of two interconnecting en-suite tents, sharing a beautiful deck area. These rooms are fitted with baths as well as showers. The size of the rooms allows for the twin tents to comprise of two queen size beds and the double rooms, a king size bed and divan. All rooms can also easily accommodate another single bed and baby cot. Almost all the camp has been designed to facilitate wheelchair access. The lounge and dining areas are built structures with stunning views of the Savanna plains and sit right above the Talek river. The areas are designed to relax our clients with huge couches surrounding the bar area and tranquil lighting setting the ambiance. 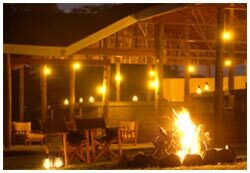 Night game drives, visits to Masai village and guided nature and bird walks are among some of the activities which the camp can offer. We can also arrange balloon safaris at sunrise and sunset over the national park for the more adventurous. Fringed by marshes and surrounded by ghostly Fever Trees, Siana Springs is situated on the eastern edge of the Masai Mara National Reserve. Perfectly recapturing the romance of the early pioneers, the camp possess a tranquil atmosphere, with spacious tents and shaded trees offering complete privacy in the lush, unspoiled setting. All tents have en-suite bathrooms. A convivial dining area offers fine cuisine and the swimming pool is an irresistible oasis on hot days. Bird life is prolific up to 100 different species can be seen in a day. 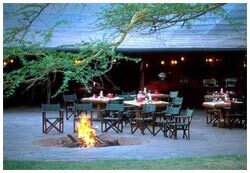 Sarova Mara Camp has an impressive entrance with exotic gardens and a high thatched lobby with ethnic decor. The camps buildings are attractive and airy with a big dinning area that includes a big terrace with wide-angle views and a swimming pool. There are seventy-five tents through sizeable grounds offering differing views and many paths winding through lawns and gardens and wooden walkways over wide lily ponds. All tents have a concrete addition for private bathrooms. 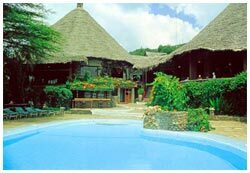 Mara Simba Lodge lies in the banks of Talek River. It is designed with imagination and built with traditional materials. It nestles unobtrusively into the landscape, while both the main building and the rooms overlook the river where crocodiles and hippo can be seen. 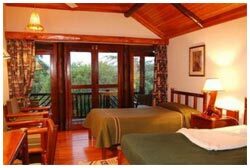 The rooms have en-suite facilities with private verandas overlooking the river. Songs, dances, slide shows and lectures.